As some of you know, we had a family health emergency just over two weeks ago when my father-in-law had a stroke. We just returned tonight from a quick trip to southern California to visit them. He is doing very well and I thank all of you for your prayers. It was very nice to be able to spend time with them. I got to cook a ton while I was there, which was a very good thing. It's amazing how therapeutic cooking can be, especially when it's for those you love, and are blessed to call family. I truly have some of the best in-laws on the planet. In any event, I apologize for the lack of posts, but you can expect some very shortly. It looks like I'll be competing locally on somewhat short notice. 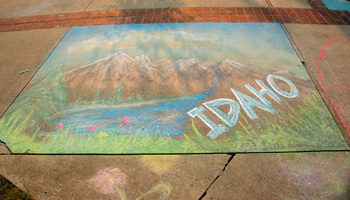 It's this weekend at the Western Idaho Fair. I've never competed in a Pacific Northwest BBQ Association cook, but it should be a great time. Again, thanks for all of your concern and prayers. P.S. 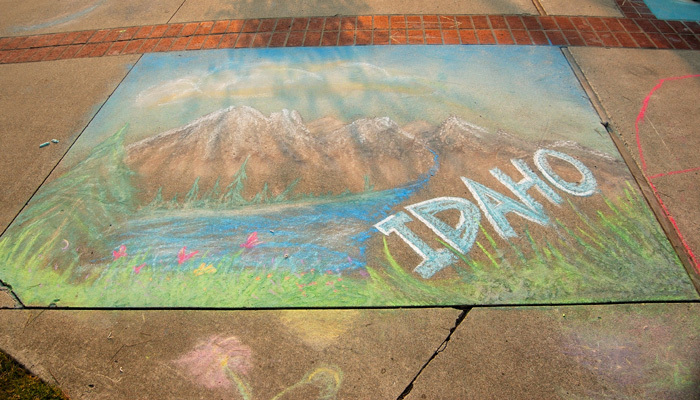 I was feeling a little creative the last day we were there, so I drew this 4' x 6' chalk postcard on their driveway. Click it to see a larger view.